Luke Peel TMI’s Research Coordinator took the groups for a field tour at Mulloon Creek Natural Farms demonstrating the significant environmental and agricultural productivity results from the Natural Sequence Farming rehydration pilot project. Students walked the ephemeral creek line at MCNF and visited the rehabilitated wetlands leading down to the leaky weir at Peter’s Pond. Here they discussed how creek interventions and leaky weirs can help restore environmental flows, which then help rehabilitate the riparian corridor and replenish the floodplain. They also learnt how scientific hydrological monitoring is being conducted using stream gauges, piezometers, and weather stations and how the success of the project has now seen it expand out to a catchment scale. The students then visited the step diffusion system where landscape contouring and vegetation management is being used to regenerate areas of hilly country. An important concept discussed here was that all plants have a role in landscape regeneration, including providing farmers with feedback loop (indicators) about the land’s fertility and functionality, which allows them to make informed landscape management decisions. They finished off the day with a field tour of the certified organic poultry operations at Duralla which form a major part of Mulloon Creek Natural Farms. Michael Fitzgerald the Farm Manager guided them through the egg production facilities and discussed how the farm’s diverse operations (chickens, cattle, pigs, goats) coupled with a diversity of plants and appropriate management can generate a productive and profitable farming outcome. Overall, we provided students with insights into key landscape processes and showed how farmers can achieve productivity and profitability while addressing environmental issues such as water quality and quantity, flora and fauna diversity, habitat and food, and how to tackle the challenges of climate extremes and climate change. 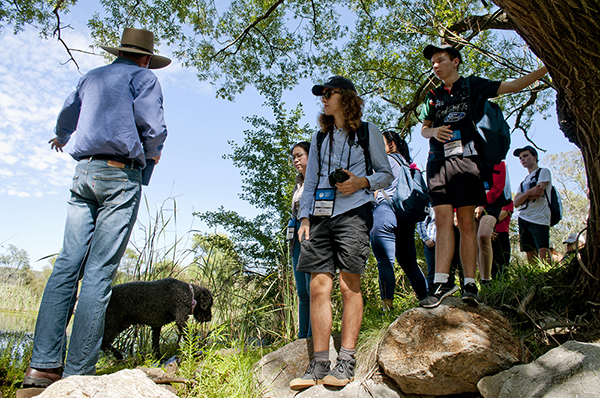 If you are a Year 11 student wanting to get a broader understanding of your career options in science, technology, engineering and mathematics, please consider taking part in the National Youth Science Forum next year. 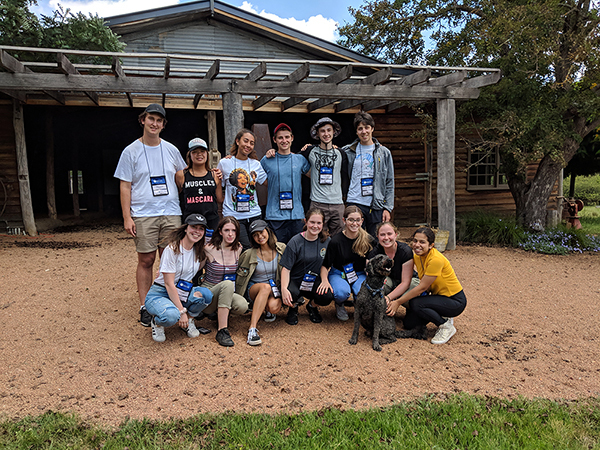 Thanks to Rotary Australia who choose and sponsor the participants each year and to the Australian National University for hosting the students in Canberra.